Want to see a movie, but not sure what's worthwhile? Read on for this week's lineup of acclaimed movies showing on the big screen in and around Merced. Miles Morales is juggling his life between being a high school student and being Spider-Man. However, when Wilson "Kingpin" Fisk uses a super collider, another Spider-Man from another dimension, Peter Parker, accidentally winds up in Miles' dimension. As Peter trains Miles to become a better Spider-Man, they are soon joined by four other Spider-Men from across the "Spider-Verse." As all these clashing dimensions start to tear Brooklyn apart, and Miles must help the others stop Fisk and return everyone to their own dimensions. 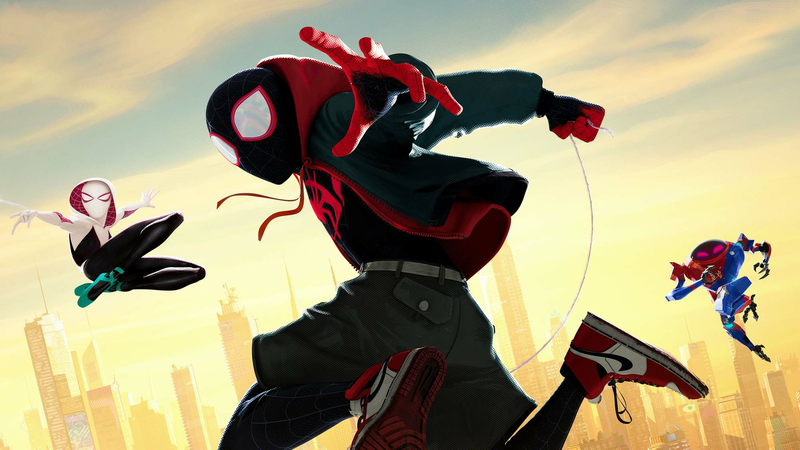 With a critical approval rating of 97 percent and an audience score of 94 percent on Rotten Tomatoes, "Spider-Man: Into the Spider-Verse" has gotten stellar reviews since its release on December 14, with a consensus that it "matches bold storytelling with striking animation for a purely enjoyable adventure with heart, humor, and plenty of superhero action." Catch it on the big screen at Regal Hollywood Merced 13 (403 W. Main) through Thursday, Jan. 3. Click here for showtimes and tickets. With a critical approval rating of 93 percent and an audience score of 94 percent on Rotten Tomatoes, "Bumblebee" has become a favorite since its release on December 21. The site's critical consensus notes that "'Bumblebee' proves it's possible to bring fun and a sense of wonder back to a bloated blockbuster franchise -- and sets up its own slate of sequels in the bargain." You can catch it at Regal Hollywood Merced 13 (403 W. Main) through Thursday, Jan. 3 and UA Regency 7 (635 Fairfield Dr.) through Wednesday, Jan. 2. Click here for showtimes and tickets. Follow Adonis Creed's life inside and outside of the ring as he deals with new found fame, issues with his family, and and his continuing quest to become a champion. With an 83 percent critical approval rating and an audience score of 83 percent on Rotten Tomatoes, "Creed II" has proven a solid option since its release on November 21. According to the site's overview of critic reviews, "'Creed II''s adherence to franchise formula adds up to a sequel with few true surprises, but its time-tested generational themes still pack a solid punch." Get a piece of the action at Regal Hollywood Merced 13 (403 W. Main) through Thursday, Jan. 3. Click here for showtimes and tickets. With a 64 percent critical approval rating and an audience score of 82 percent on Rotten Tomatoes, "Aquaman" is well worth a watch. According to the site's critical consensus, "'Aquaman' swims with its entertainingly ludicrous tide, offering up CGI superhero spectacle that delivers energetic action with an emphasis on good old-fashioned fun." In the mood for popcorn? It's playing at Regal Hollywood Merced 13 (403 W. Main) through Thursday, Jan. 3. Click here for showtimes and tickets.